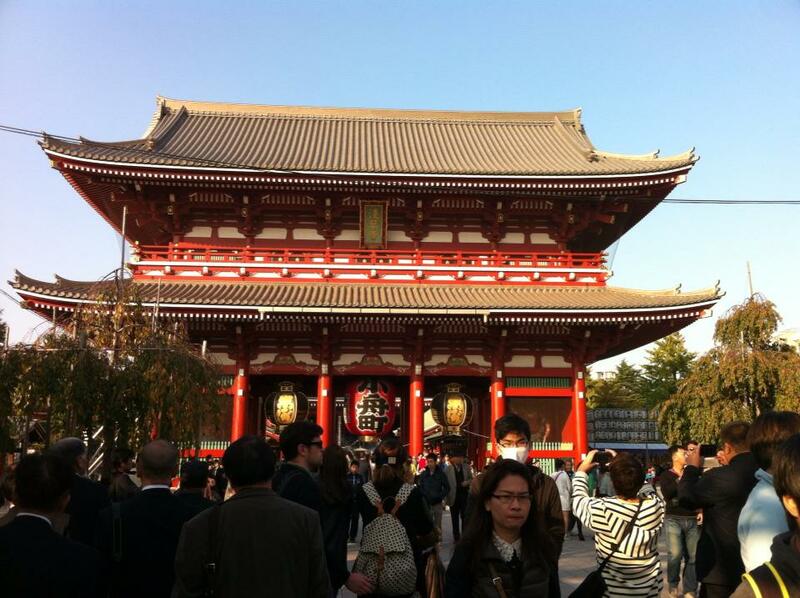 Contiki recently released their latest tour package – a 13 day tour of Japan called Japan Unrivalled. To promote the tour, Contiki Australia has brought out the famous Robot Restaurant from Shinjuku, Tokyo, for three nights in Sydney – a pop-up restaurant called Robots Unrivalled (which I will also be writing about shortly). Curious about the exciting new tour, and having recently read that Australian tourism in Japan is growing quickly, I had a look into the Japan Unrivalled tour. It’s a whirlwind fortnight in which you can get a small taste of Japan. What I also realised is that for those who prefer DIY travel – that is, organising your own trip rather than joining a packaged tour – you can do the same trip for about half the cost, or even less! I’ve visited Japan several times now and have been to most of the locations that the tour visits, so I’m going to share my top tips on how to plan your own Japan Unrivalled style trip without the price tag. First up, let’s look at the cost of a 13 day packaged tour and then we’ll explore how to save money on your own 13 day whirlwind tour of Japan. There are a range of options that you can take and companies that you can book through when you’re thinking of travelling. Whilst I prefer to organise my own trips with my partner rather than relying on another company and being bound by an itinerary set for a group, many people thoroughly enjoy group tours. I know plenty of people who have fond memories of their overseas group tours and have made lasting friendships this way. So by all means, if you’re thinking of travelling to Japan with a tour group, do look into it – but don’t just look at one package or one company. Look at as many tour packages as you can find, and read up on the reviews before you make a decision. Upfront costs vs extras: Always bear in mind that the upfront cost of a packaged tour isn’t going to include everything. Contiki states that the Japan Unrivalled tour packages start at A$4465. This figure is only taking into consideration the mandatory charges for the aspects of your trip that they will handle. Not every meal is paid for, and a lot of the experiences offered in those packages are actually optional – this means that you need to pay additional fees for these. 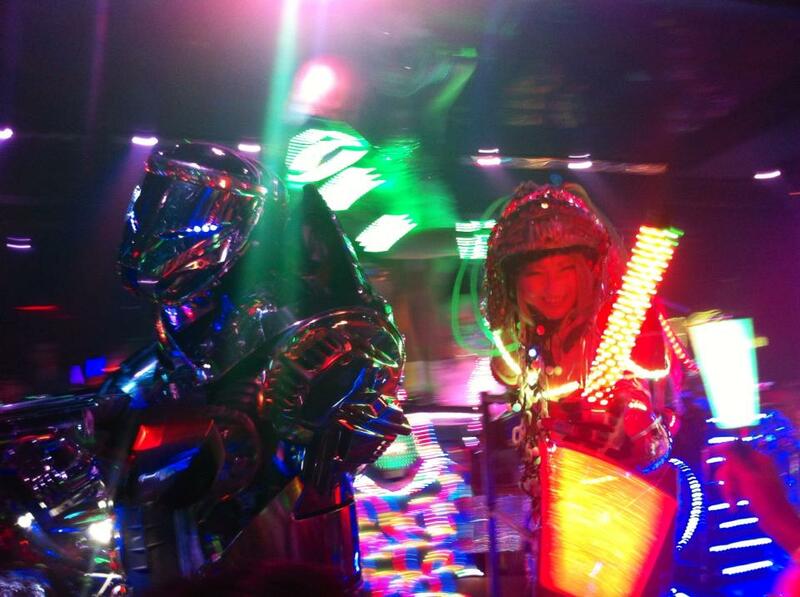 Take for example the Robot Restaurant. This is an optional experience in the Japan Unrivalled tour, costing 6,500 Yen. Don’t be fooled by the 500 Yen (about A$5) discount either – there are several ways to find discounts on these types of experiences. Contiki’s Japan Unrivalled tour includes 14 meals. If you’re there for 13 days, and you should be eating three meals a day (not including the endless snacks you’ll probably want to try in Japan! ), then you’ve got another 25 meals pay account for. There are plenty of other costs involved that you should take into consideration when planning a trip, whether it’s through a tour company or on your own. Do you need to buy luggage, or do you already have some (or can you borrow luggage from a friend/family member)? What if you get sick/injured or you lose your luggage or other valuables – do you have travel insurance? You’ll probably want to use a credit card at some point overseas – have you looked into the fees and charges for this? How about using a mobile phone over there? In addition to all of those surprise costs, you’ll probably want to go shopping too. This is Japan, after all! Tokyo in particular is GREAT for shopping. Airfares: Most significantly, flights to and from Japan are NOT included in the Contiki package. I got a quote with a starting price A$4899 – and that’s not including the optional extras such as the Robot Restaurant. By then you’re looking at well over A$5000. And then there are flights. You may be able to get a cheap deal when flights are on sale, but you won’t have the flexibility to choose whenever you want to go (because the tours only run on specific dates). You could be looking at over A$6000 – before additional food, shopping, entertainment, etc. And that’s if you’re prepared to share a room. Want your own room? Add another A$1200. That’s right, now you’re looking at well over A$7000 for less than two weeks in Japan. A trip to Japan does not have to cost that much. My partner and I have a really great time each and every time we visit Japan. We’re sensible with money, but we also make the most of our trips. We pack as much into our itineraries as we possibly can, and we’ve been known to include pricey experiences such as several days at Tokyo Disney Resort with accommodation in the Miracosta hotel (an incredible hotel located in the grounds of Disneysea – something which I’ll write about in the future). Still, we don’t even come close to spending as much as we would if we went on a packaged tour. This of course means that we can go to Japan again and again! Keep an eye out for sale flights. Whether you want to do a straight flight without a stopover, or you’re happy to go with a budget airline, you can always save money by booking the right flights. When you’re not restricted to certain dates as you would be with a packaged tour, you have the luxury of finding the best deal. The time of the year can make a significant difference to the cost of your flights (as well as accommodation), but you can get budget flights for as little as $600 return from Australia to Tokyo. Book your own accommodation. Japan is absolutely full of great options when it comes to accommodation. If you’re on a tight budget, Japan is famous for its capsule hotels. You can find capsule hotels within walking distance to the famous Shibuya crossing for under $600 for 13 nights. 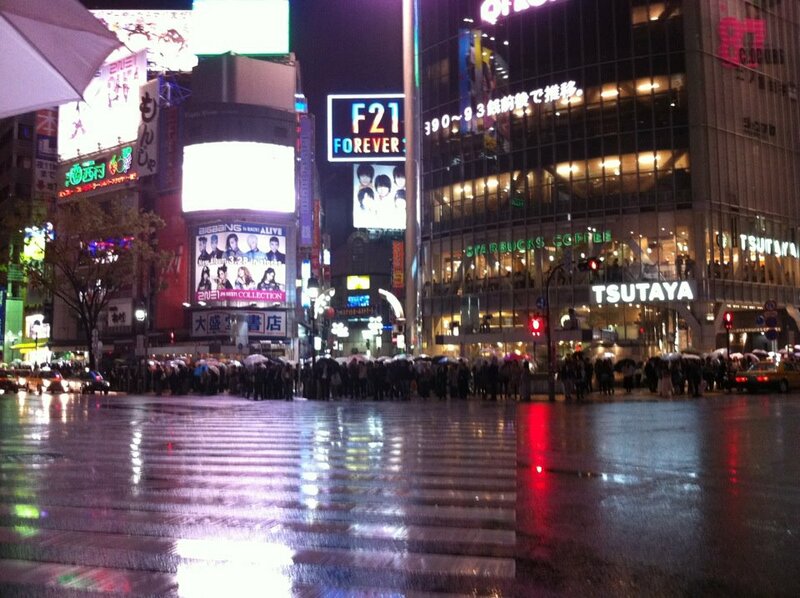 In Shinjuku – another popular area – 13 nights in a capsule hotel can cost under $500. Alternatively, you could consider a hostel. Or if you’re like me and you’d prefer an ordinary hotel room, it’s not hard to find good hotels and very reasonable prices. Use websites such as Booking.com to search for hotels by location, price, the number of people per room, as well as facilities. Use websites such as TripAdvisor to see reviews and other helpful information. I recommend using a few different websites to look for the best deals. Get a Japan Rail (JR) Pass. Available only to foreigners travelling in Japan, these are a great way to save money when travelling around Japan, and will allow you to save potentially hundreds of dollars on shinkansens (bullet trains) – perfect if you’re looking to travel between places such as Tokyo, Kyoto, Osaka and Hiroshima – as well as being able to use many suburban trains. JR Passes last for 7, 14 or 21 days. If you’re planning a 13 day trip similar to Contiki’s Japan Unrivalled tour, you may want to consider a 14 day pass. These cost 62,950 Yen (about AU $675 at the time of writing) and you can use them on many shinkansens, suburban trains as well as some buses. Train travel is very easy in Japan, so you can expect to get a lot of use out of a JR pass. Alternatively, you may want to time a 7 day JR Pass (38,880 Yen – or about AU $417 at the time of writing) so that it covers shinkansens to locations such as Kyoto, Osaka, Hakone and Hiroshima, and then just pay as you need to for train travel outside of these 7 days. This is something that my partner and I have found to be great value in the past. Budget for your own itinerary. Looking at the list of sites and experiences in the Japan Unrivalled package, you can find out approximately how much each of these might cost. This will help you to budget for the activities themselves. Jinya house – Nijo Jinya: 1,000 Yen (A$10.70) – This place is privately owned and reservations should be made at least a day in advance. Buddhist guesthouse: Depending on the guesthouse, typically about 10,000 – 15,000 Yen (A$107 – $161). Without the Buddhist guesthouse stay, these activities come to around 8,550 Yen (A$91.65). With the guesthouse stay, you’d be looking at closer to 23,550 Yen (A$252.40). You could get sale airfares with a budget airline for A$600. Then you could stay in capsule hotels for A$600. You could get a 14 day JR Pass for A$675. Then do the above activities for A$253. 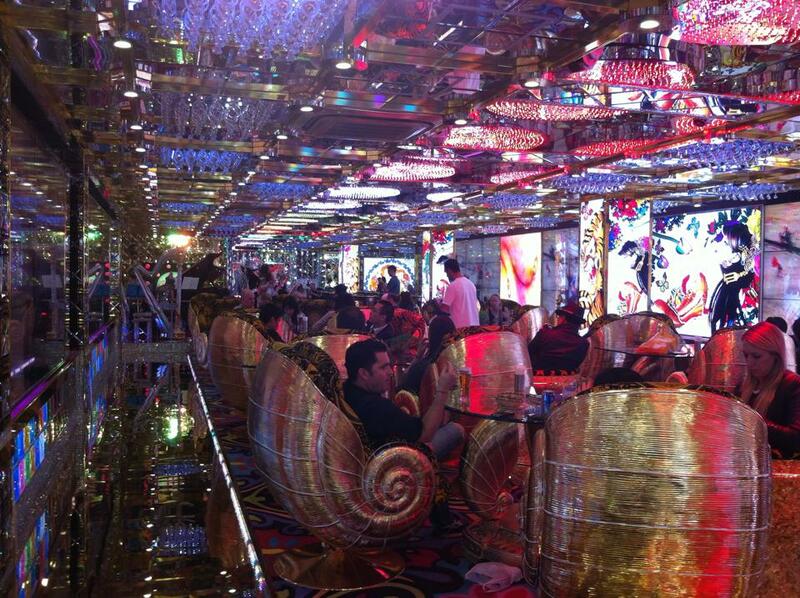 Include a trip to the Robot Restaurant for A$70. That’s a total of only A$2198. Of course you’re going to need to factor in other costs as I mentioned earlier, from travel insurance to food, entertainment and shopping, as well as travel that won’t be covered by your JR Pass, but even then you’re probably not even going to spend half as much as you would on a packaged tour. Plus you’ll have the freedom to change it up as much as you like. 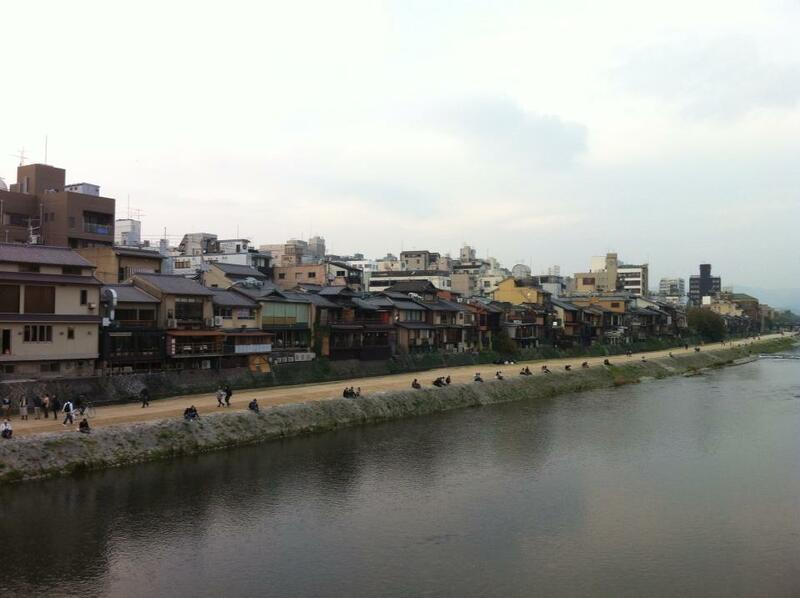 The Japan Unrivalled tour has a lot of shrines, castles and historic sites. These are great, and you should definitely consider checking out a few of these. However, Japan is a very exciting, modern country and there are a lot of other fun and interesting places that you might like to visit while you’re there. Contiki’s website states that the Japan Unrivalled trip costs on average A$343 per day. This calculation is made before airfares and everything else I’ve discussed. I’d estimate more like A$550 per day. My partner and I wouldn’t average even close to A$343 per person per day on our Japan trips, even though we stay in nice hotels, spend time at Disneyland, and basically do/eat everything we want. After all, travel companies are not charities; they do have to make a profit on top of your travel costs. In a previous post I discussed five benefits of organising a DIY overseas tour. 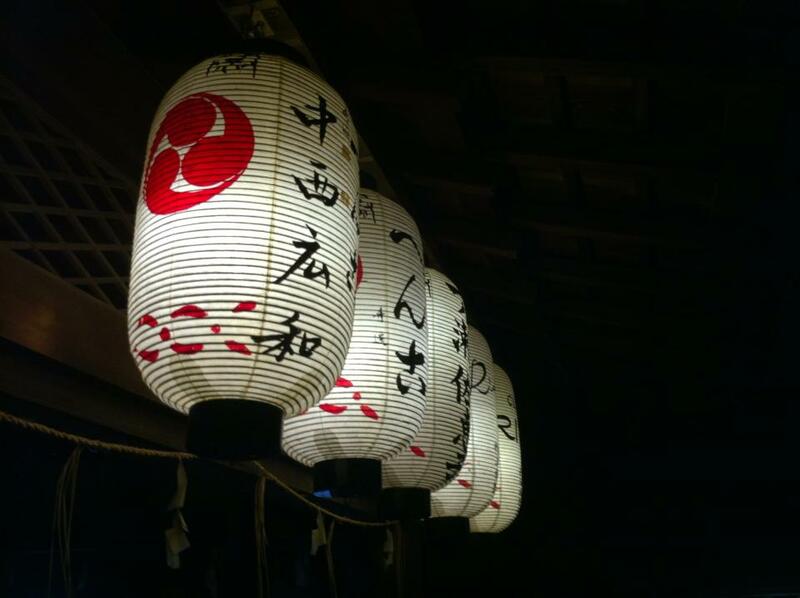 Why not consider planning your own trip to Japan? This was great! I’m planning on Solo Trip to Japan and considered Contiki but thought 7000 was a bit too much money. Glad to see that there are other options. Cheers! This was a great guide I opted to plan my own to. I’ve lived it and saved a fortune. I’ve even added on plenty of little organised day excursions and still saved. Japan really isn’t a problem to do cheaply.